With Printout Designer gaining more and more traction on Shopify, Bigcommerce and Tictail with new users signing up each day, we decided to go through some of the feedback and use cases to show how our customers are using Printout Designer. Our users say that they have a clear need for better design possibilities, because their ecommerce platform is not providing them the appropriate tools. Printout Designer is mainly used for creating invoices, packing slips and product barcode labels, but also for gift cards and product catalogs. We clearly see that our main advantage is the flexibility of the template editor and easy to use interface that allows to build complex templates without any coding. It’s an essential tool that we use every day to process all orders and print out consumer invoices and postage labels. It’s really easy to design documents with your own branding and we could not imagine using Shopify without it. Before Printout Designer we had tried to use the standard Shopify invoicing, but could not incorporate our branding or discount codes etc onto the customer invoice. Also printing labels was a nightmare as we wanted to incorporate our Royal Mail licence files but could not do that for the different postage classes – 1st, 2nd and International. 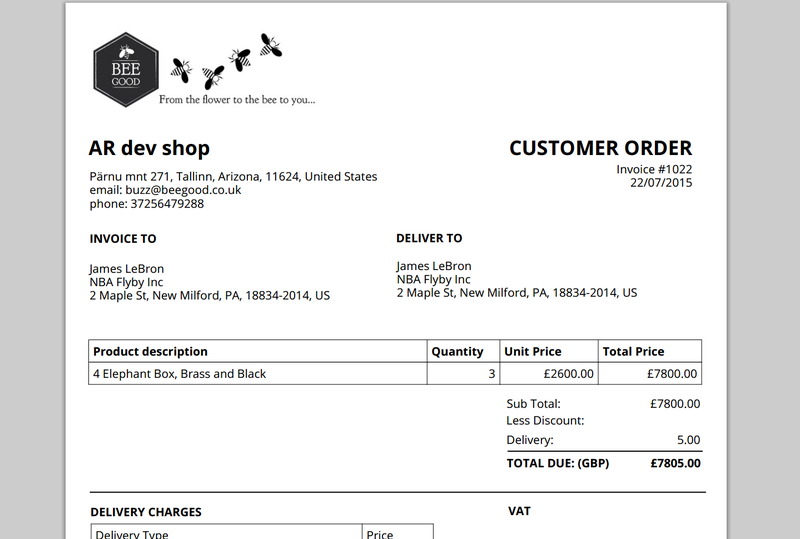 Printout Designer helped us draw up new Bee Good branded consumer invoices and also individual customised printing labels. Printout Designer is now used to print all materials needed for each order. 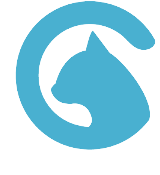 Daryl Aitken from Fabrics Spark, in turn, mentioned that they have been using Printout Designer for 5 months now and, compared to Shopify´s own order printer, Printout Designer has a clear advantage. Daryl is currently using 2 different templates in her everyday business – one for packing slips and another for order fulfillment. What she enjoys most is the possibility to display exactly the information she wishes. As she sells fabrics, then for her, it is considerably easier to use a visual reference to products. That’s where she uses pictures on her fulfillment template instead of product codes. This has enabled her to be a lot more accurate and efficient when fulfilling orders. Also, living in a world where sustainability is becoming more and more important, Printout Designer has helped Daryl to save paper by more efficient use of space on paper. She has already suggested Printout Designer to other Shopify users. Overall, the feedback for Printout Designer has been positive, with new feature requests popping up weekly. We see that Printout Designer is nowhere close to being finished. It’s clear that we still need to improve our template editor to provide a more intuitive and easy-to-use user experience. We can assure you that all of these issues will be addressed, as we are in the process of building a brand new template editor, many of asked features will be implemented in the new version and others will come in next releases. Also, it seems that we will need to produce better instruction materials in order for our users to realize the softwares full potential. We are constantly asking our users for feedback and are committed to developing Printout Designer in the direction our customers request. So, we encourage you to be active – give your feedback and let us know which features you would like to see in future releases. You can do that via the contact form on our website www.printoutdesigner.com or by emailing directly at printoutdesigner@actualreports.com. Until next time – happy invoicing!